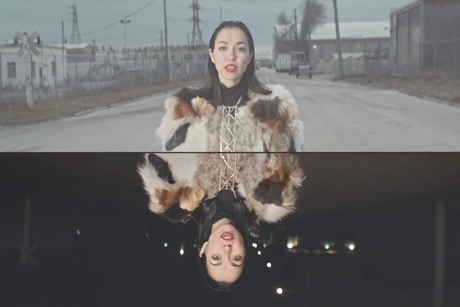 Producer Dan Werb and singer Maylee Todd just released their Dirty Power EP under the name Ark Analog, and now the Toronto duo have shared a music video for the opening track, "Make Me a Mirror." The clip for this blippy electro-pop track shows a mirror image of Todd acting out the same simple routine twice, once at night and once in the daytime. Things get a little trippy in the final moments, and Todd dances in front of an image of herself. The video was directed by Matthew Swanson. Watch it below.